Happy Monday, everyone! It’s a dreary Monday here and rain clouds abound, but nothing cheers us up more than a few before and after pictures. 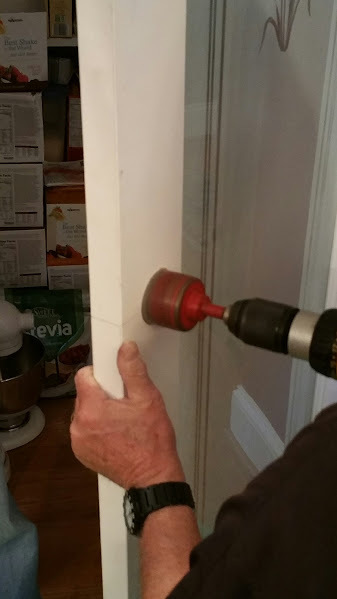 You’ve seen our large kitchen renovation project already, but today we’re showing a piece of that project that we didn’t share before. Why didn’t we share it? It simply wasn’t done yet at press time, but we’re excited to show it to you today! One of the things we love most about any home renovation project is that it gives you the ability to customize your space and really turn it into an environment that matches your personality. Custom renovations speak volumes about the person designing them and they don’t necessarily have to be a large or expensive endeavor to make a statement. 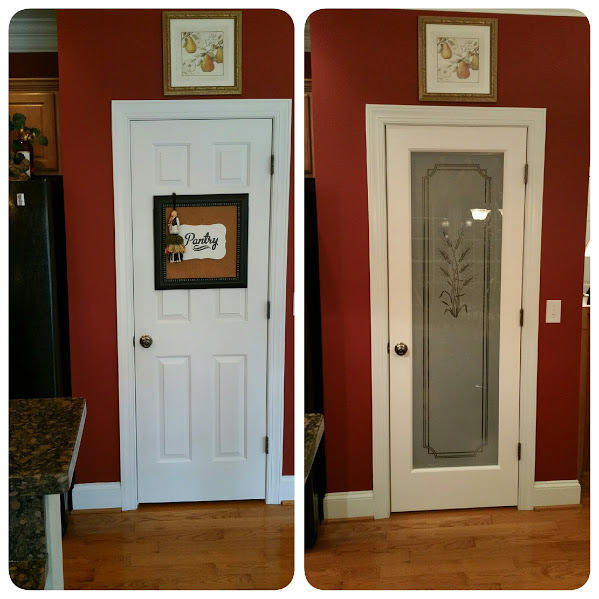 We have been seeing frosted pantry doors all around the home design scene lately and we loved this look for two reasons. It gives the illusion of having extra light in the kitchen, and it also evokes the unique and embellished designs of the Victorian era, when etched glass became popular by offering a luxurious, yet private, ambiance for public homes and salons. 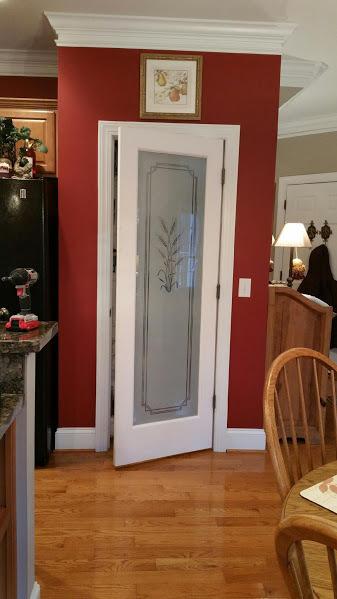 Because our decorating style leans towards traditional, but whimsical, a frosted pantry door was the perfect addition to our custom kitchen. 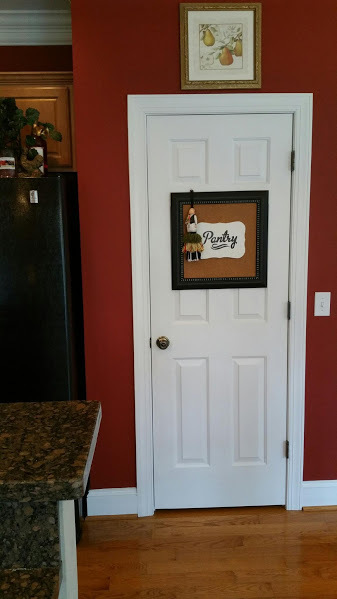 We found our new pantry door from Home Depot and it took just a few hours on a Sunday afternoon to install it. The particular design we chose reminds us of a wheat harvest, which blends perfectly with the autumn colors in our kitchen. 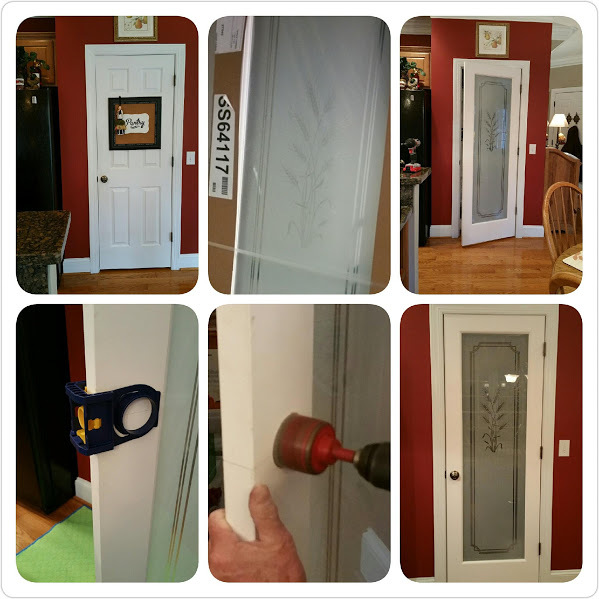 If you are interested in updating your pantry door, there are hundreds of design options available, from clean and modern to more intricate and decorative patterns. We recommend you start by perusing galleries online for inspiration, like this one from Zillow Digs. 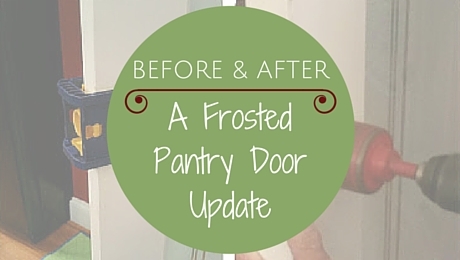 In the meantime, here are the before and after pictures of our pantry door renovation. What do you think? This is one of the spots where we hang our seasonal tassels by switching them out every month or so. We’ll have to find a new hanging spot once the new door is installed! 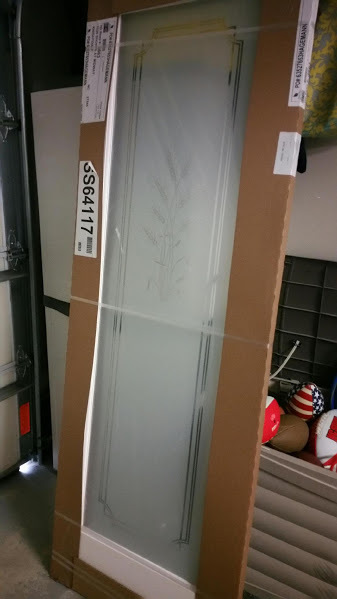 Pretty little thing waiting to be installed! Almost done. Can you spot what is missing, though? Or the two tassels hanging elsewhere in the picture? 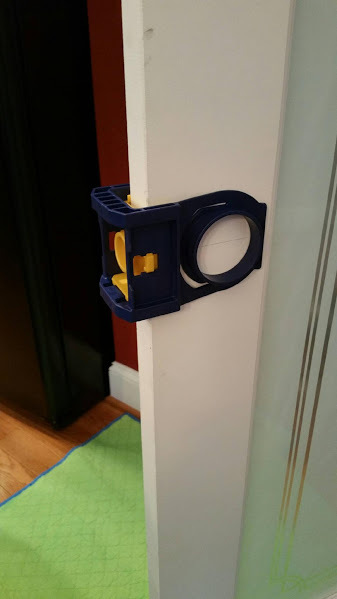 This nifty tool made installing the doorknob a snap! Now our only dilemma is finding a new place to hang our seasonal tassels…good thing we have tons of ideas here😉 If you’re working on a kitchen renovation project, let us know by commenting below. We’d love to know what you’re doing and how the project is going. Until then, keep decorating!